The month is not even over but I’m already short of money. I was thinking what to do to avoid spending even more money for food this week. I took a look into my fridge to check what I could use up. I had tomatoes, onions, garlic and a lot of vinegar. The first thing that came to my mind was a salsa, but not the typical salsa in the form of a dip or sauce. 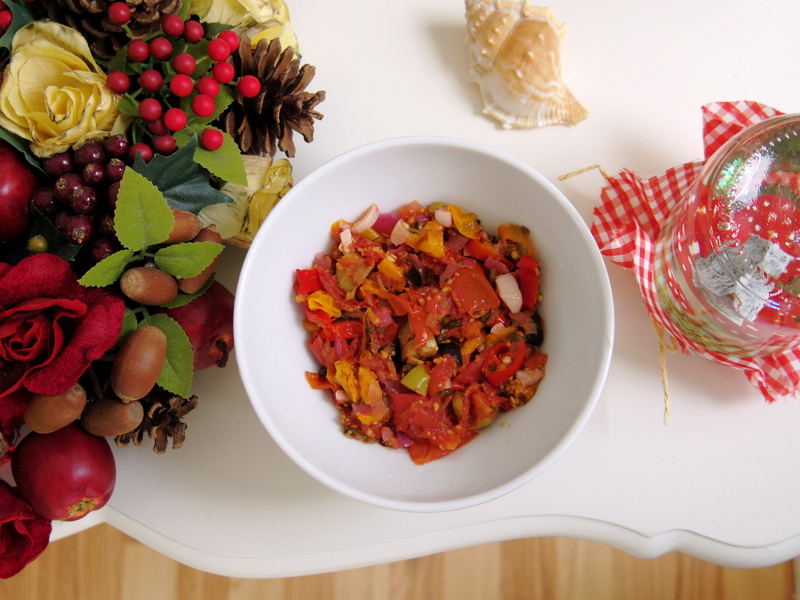 I wanted to make something more like antipasti, an appetizer to be eaten with bread. 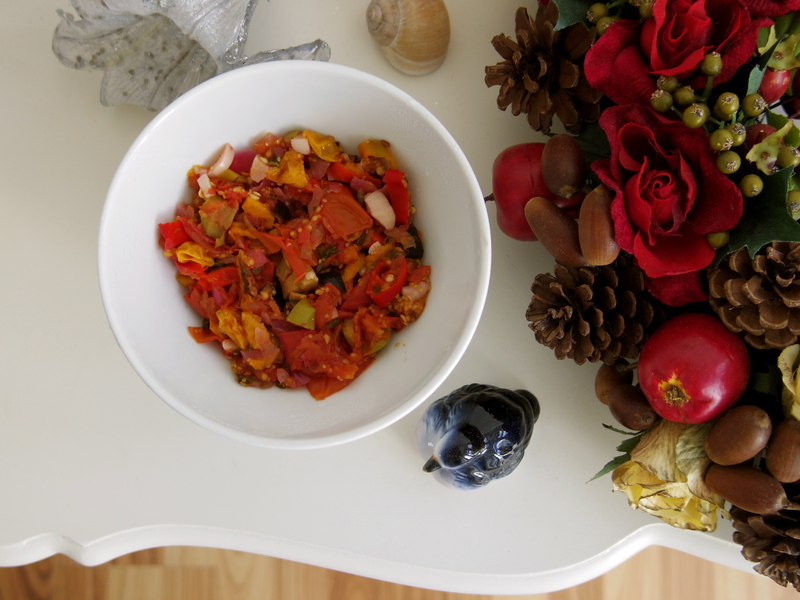 One more thing I had at home were physalis fruits, so the idea came up to make a half spicy, half sweet salsa. Of course, I will tell you what I did differently when preparing my salsa. Please keep in mind that my recipe is only for a small bowl of salsa. If you want to prepare more salsa, you need to multiply the ingredients according to your needs! 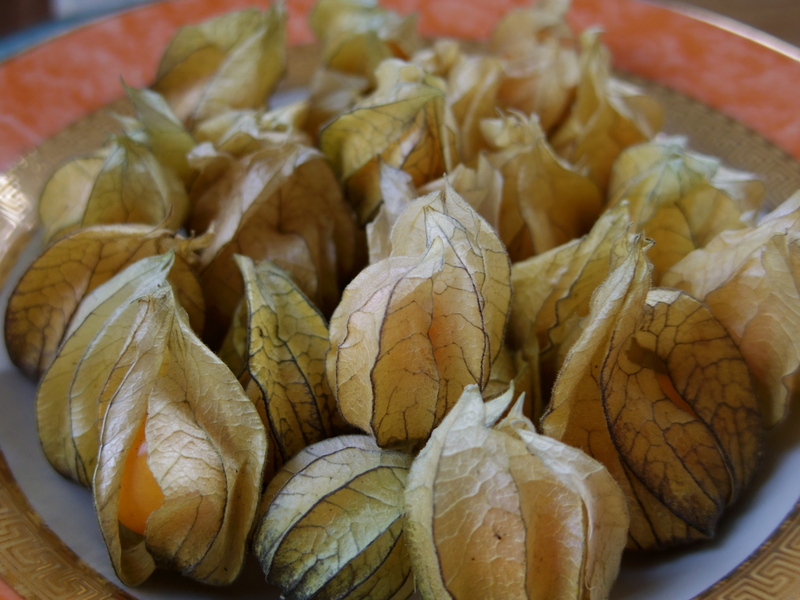 Peel the husks off the physalis fruits and rinse well in cold water. 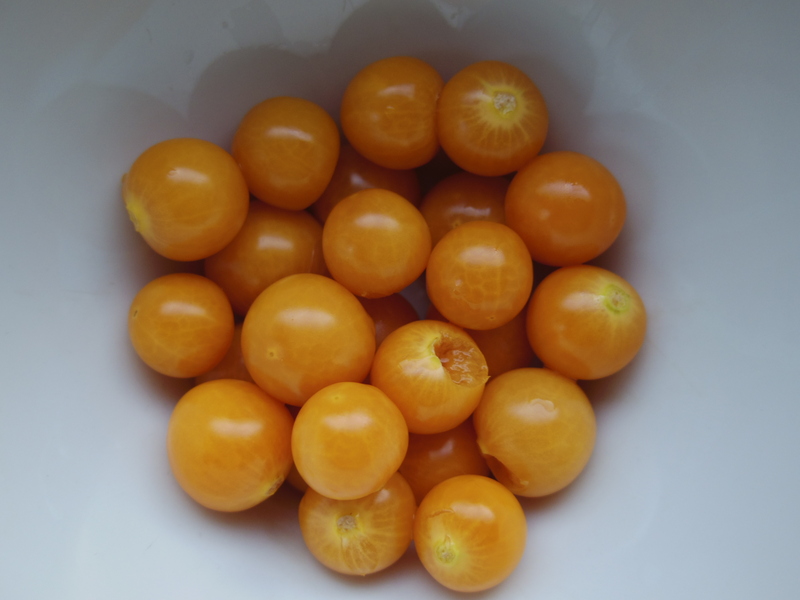 Roughly chop or quarter the physalis fruit. Start with chopping up 4 – 5 medium sized fresh tomatoes. Prepare the onion, the garlic, the olives, the parsley and the chilies in the same way, chopping them in chunky pieces and combining all the ingredients in a big pot. Set aside some of the seeds from the chilies if you don’t want your salsa to be too spicy. Now add the sea salt, cumin, lime juice and a 1/3 cup of red wine vinegar into the pot with all the other ingredients. You can also use fruit vinegar and mix it with red wine. Cook on medium heat for about 20 minutes, until everything is simmering and tender. To make a salsa dip or sauce puree with an immersion blender and cook everything for another 20 minutes on medium heat, stirring occasionally until it starts to be slightly thickened. To make a chunky “antipasti” salsa like I did, don’t use an immersion blender. Simply cook the ingredients for 20 – 30 minutes, then separate from the vinegar and put into a mortar if needed. 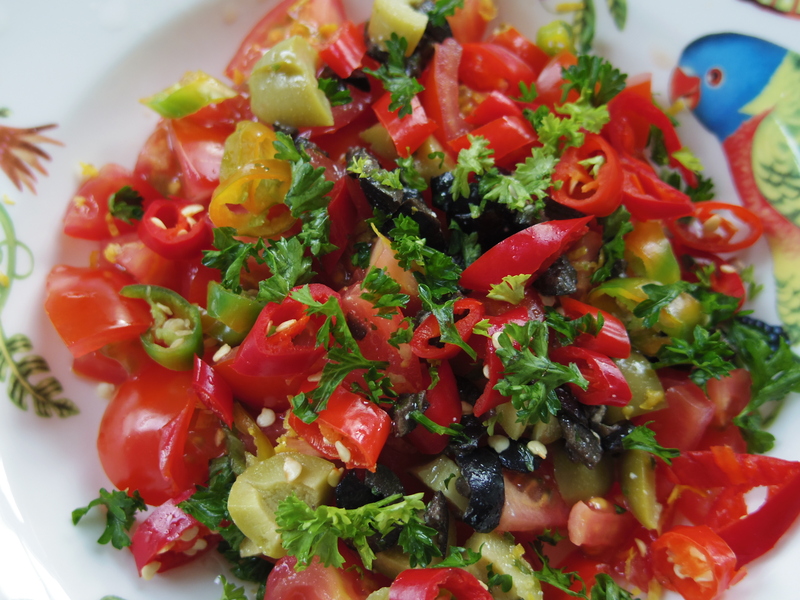 Salsa is really easy to make and you can prepare it in so many different ways and tastes! I could save some money by simply using up everything I had at home and turning it into this colorful appetizer. Serve it with some bread or use it as a substitute for a salad!